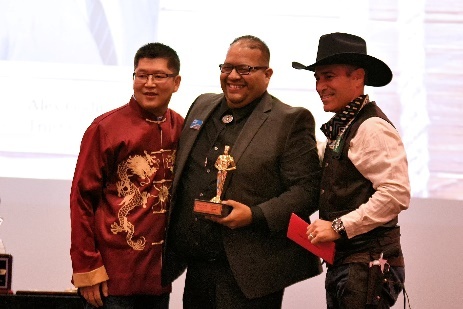 ARLINGTON, TX (February 8, 2018) — Alex Godina, Senior Business and Community Engagement Partner of Texas Trust Credit Union, was named Volunteer of the Year by the Grand Prairie Chamber of Commerce. The award was presented at the annual community awards banquet. A high resolution picture of Godina can be downloaded here.